The Royal Australian Navy ships, HMAS Diamantina and HMAS Leeuwin left for their next port of call from Trincomalee yesterday. 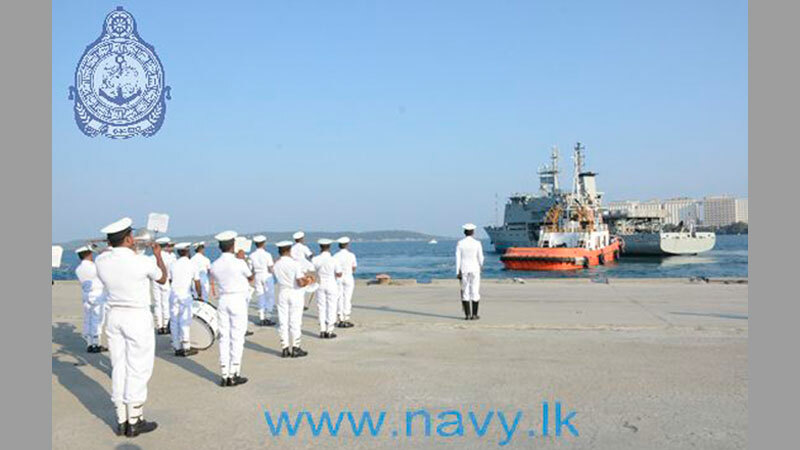 Sri Lanka Navy bade customary farewell to the departing ships at the port of Trincomalee. The two war ships of Royal Australian Navy arrived in Sri Lanka on 11th March to search for sunken shipwreck of World War II in the seas around Batticaloa and arrived at the Trincomalee harbour on 17th March, on a goodwill visit. During their stay in the country, the crew members of two ships also took part in a friendly cricket encounter as well as hiking and diving events organized by Sri Lanka Navy.